Cheap self storage, free pick up. Whether your looking for cheaper self storage units and self storage companies in Islington, Fulham or Kensington, there are a number of different considerations that need to be made. Whether your looking for cheap self storage and self storage companies in Islington, Fulham or Kensington, there are a number of different considerations that need to be made. The first is price. Self storage unit prices in London vary significantly from one week to the next. It is also common for self storage companies to use promo periods to get customers in, only to increase the storage unit prices a few weeks after you’ve started storing with them. What we’ve done at bySTORED. is to provide our pricing up front, directly on the website. 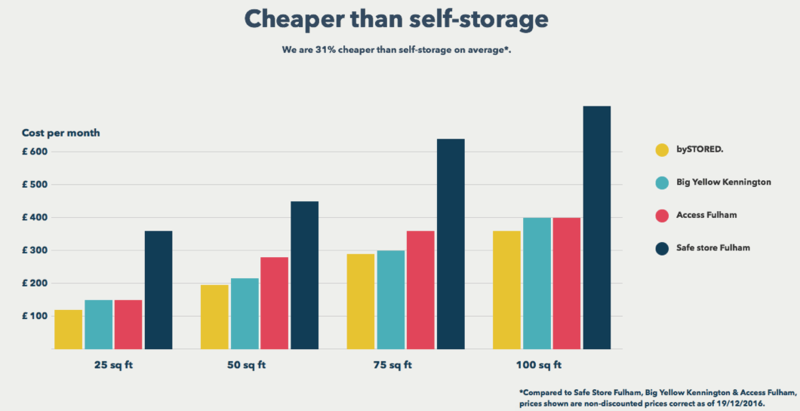 We are cheaper than self-storage in central London and we don’t change our prices at a month’s notice like other companies. The second consideration in deciding which self storage company to use, is do you have a van and are you happy to load and transport everything yourself and drive this to a self storage unit and unload it yourself? If yes, then great! If no, at bySTORED. we provide free storage pick-ups from your home or office. That’s right. We pick up the items you want to store and transport it to our London storage warehouse free of charge. At bySTORED. we also include an online inventory for free, so that you can have an overview of everything you have in storage and click one or all items to get them delivered back. A further important consideration is the ratings that a self storage company has received from its customers. Traditionally cheap self storage companies have not exactly been service suppliers of the year. With people working longer hours and expecting a better service at a cheaper storage rates, we put a huge amount of emphasis on service. 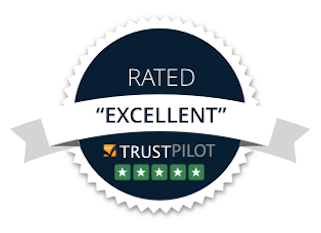 That’s why our customers rate us “Excellent” on Truspilot. Want more information, check us out on www.bystored.com and you won’t be disappointed!